The craze of outdoor fitness classes – commonly called boot camps – has survived long enough now to not be considered just another passing trend. It’s a good thing, actually. It’s an opportunity for people to get some fresh air, surprise themselves with their own abilities, enjoy a little friendly competition and be held accountable if they don’t show up. And when was the last time you seriously doubted your ability to finish a workout? 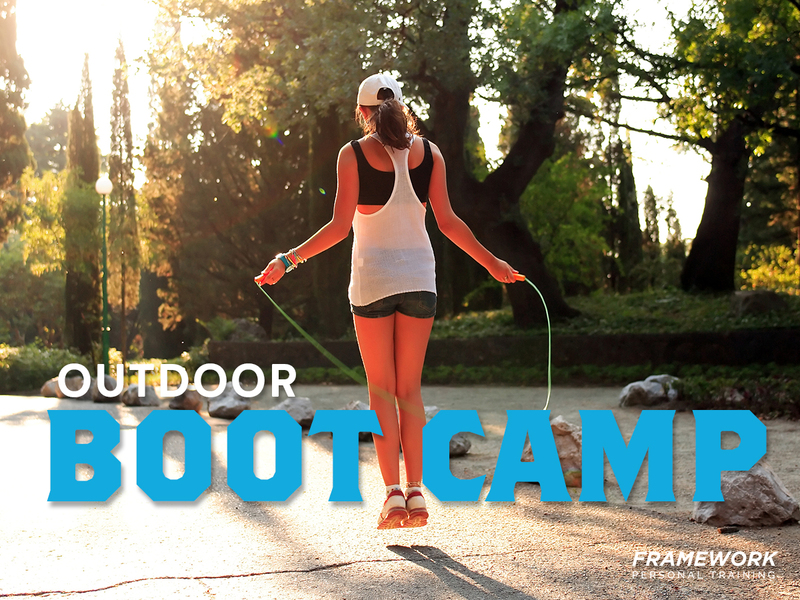 The upshot of a boot camp workout is better health though anaerobic and aerobic exercise, plus a boost of Vitamin D thanks to doing everything outside. But there can be downsides, too. Whenever you train a group, there are always going to be people with different limitations. Instructors need to be trained to vocally and physically demonstrate modifications for issues including spinal pathologies, join limitations, mental limits and unforeseen pain items. So make sure you’re working with someone who knows what he or she is doing. Safety is paramount if participants are going to be able to continue. Boot camp workouts can also lead to postural problems and nerve impingement issues if bad technique and sloppy form go unchecked. Instructors need to be vigilant about this. They also need to be creative. And this presents the biggest potential downside to an effective outdoor workout. The Great Outdoors doesn’t offer many options for pulling movements. While pull-ups are ideal, finding the right set-up is difficult. In most scenarios, you end up with a class plan that’s all pushing, with few (if any) pulling movements. And the trouble with that is this: when pushing movements trounce the pulling movements, bring on the postural pain! Most of us do well with a heavier dose of pulling to pushing considering that we work, drive and live with our arms and shoulders positioned forward. Aim for a 3:1 pulling-to-pushing ratio of exercise, and you have a formula to combat the lack of pulling exercises in your weekly boot camp.